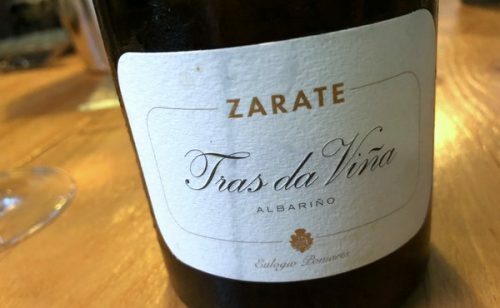 Zarate is a family winery based in Meaño, in the Salnés Valley in Rías Baixas. 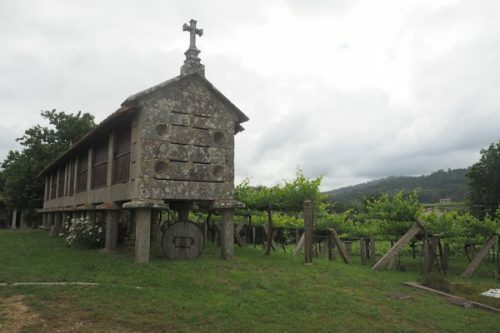 Since the 1950s this winery has been an important player in working with the Albariño variety. 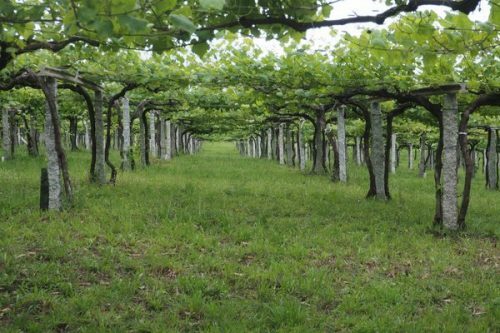 Back then, most of the wines in the region were red, but such has been the success with Albariño, the region is now 99% white and has grown susbstantially over recent decades. 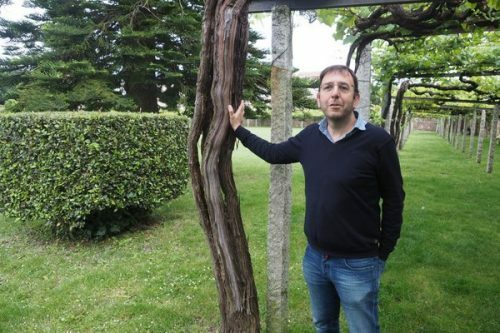 Since the 2000 vintage, Eulogio Pomares has been viticulturalist and winemaker here. 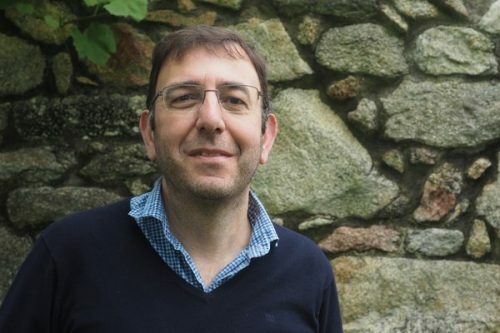 He’s one of the most highly regarded winemakers in Rias Baixas. 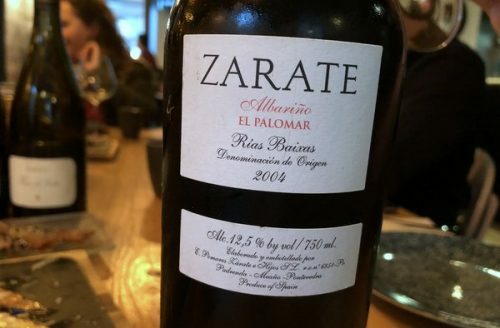 As well as making the Zarate wines for his family, he also makes wines under his own name in a cellar he shares with Rodrigo Mendez in Xil. 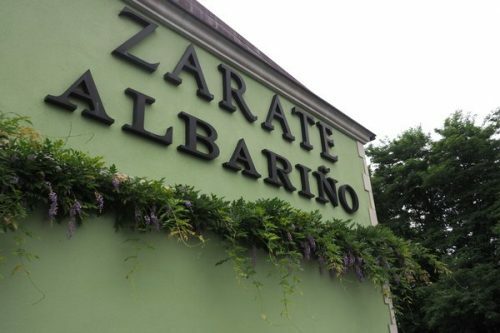 As well as Albariño, Zarate also grow the indigenous red varieties Caiño Tinto, Loureiro Tinto and Espadeiro. 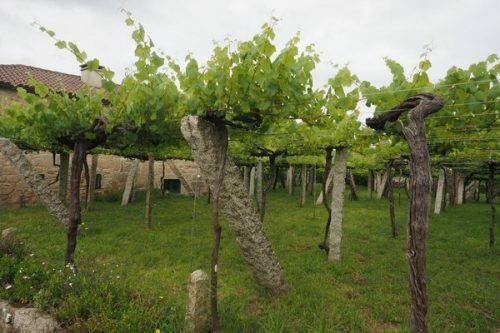 Altogether, there are 6.5 hectares of vines here, split into 11 plots in two villages, both in Salnés. For the last 3 years Eulogio hasn’t used SO2 during fermentation; it’s only used after the first racking in December or January. 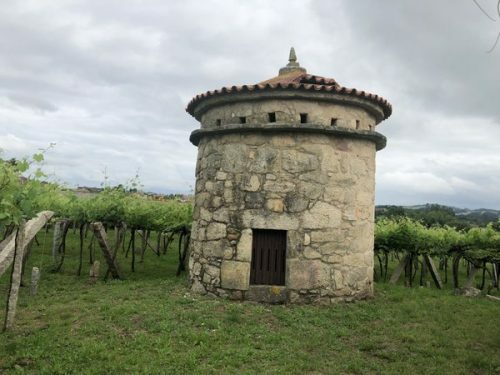 He needs to use it to block malolactic fermentation, which is usually undesirable in Albariño. Typically, he will bottle with 40 ppm total and 20 ppm free, which is quite a low level. 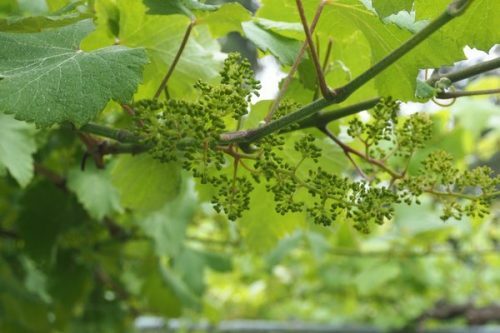 2017 was a difficult vintage in the region because it was too dry and warm, and unusually, acidity levels were low. 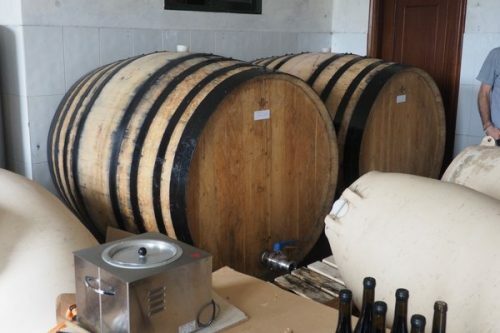 So he harvested by acid: the first vintage ever he has potentially had too little acidity. 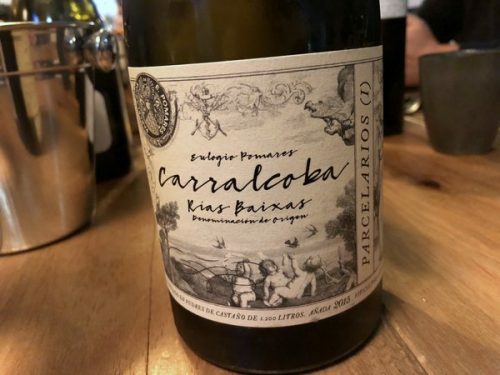 In Euologio’s other cellar, we tried a few things. Fine and pure with a hint of min. Lovely texture and finesse here with a prettiness to it, as well as a slight salinity. Very pure. 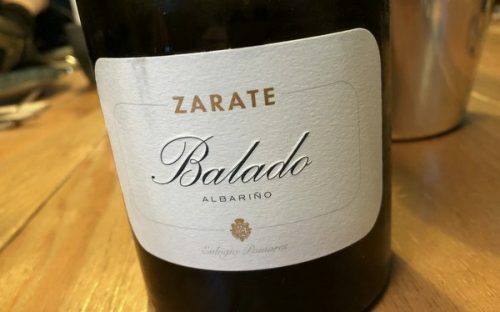 Albarino 2017 from Xil, sample from foudre. Lovely texture and fruit with some spiciness. Textural but still has freshness. Albarino 2017 from Xil, sample from amphora. Nice rounded texture, with richness and depth. Lovely palate here: really nice. He loses 3 litres a week through evaporation through the terracotta. Albarino 2017 in Acacia, skin contact with stems for four weeks. Such perfume. Textured and powerful with lovely weight. In the mouth there’s a bit of grip. Albarino 2017 with flor, in a bota from Sanlucar. Very complex and tangy with some nuttiness and apple hints. Fine, rounded and expressive, slightly salty, and refined. Espadeiro 2017, a new plot inland. So light, pure and refined with some sappiness. Such lovely texture: a lighter red that’s almost a rose. Late ripening red grape with big bunches. Caino Tinto 2017, whole bunch. Very bright and intense. Sappy with some grip. Good structure. Bright and primary and very good. This will be the Carrolceba Tinto.